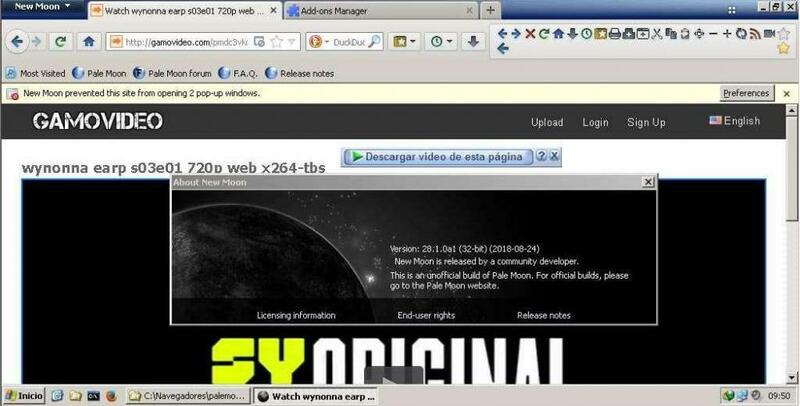 Mypal - On the portable mode empty folders do not created inside Appdata. Mypal portable you can do the location of the program folder in the pendrive. The appdata and local appdata settings folder is in the program folder. Where the pendrive from mypal plugged into the computer, there is a palemoon logged in with the add-ons. Thank you this sounds very interesting indeed. However I do not have the habit of downloading videos. For some reason, I prefer streaming. As previously mentioned I don't have any ´problems at all using ff52 in all sites that I frequent it plays the videos uninterrupted. The freezing problem every 23-25 minutes occurs only on youtube. For that reason I am going to be using either opera or google chrome. All other browsers NM28, Mypal28 and Basilisk 52 present the freezing symptoms all over the place. I do realise that my query as to why , is something like ... go figure. For the distorted sound on the video using New Moon. I found that User agent was set to 'Native' and just needed to be set to "Firefox Compatibility". 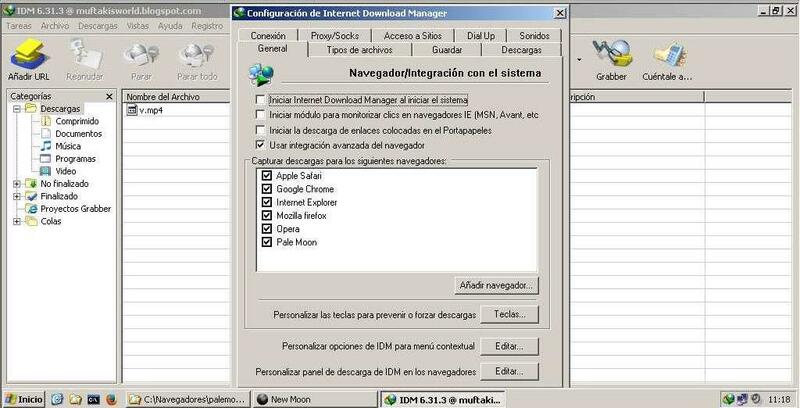 - First install IDM program. 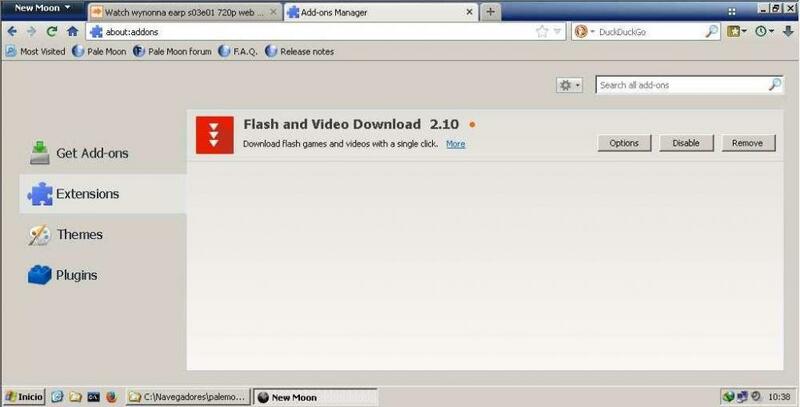 After "Flash and Video Download 2.10". 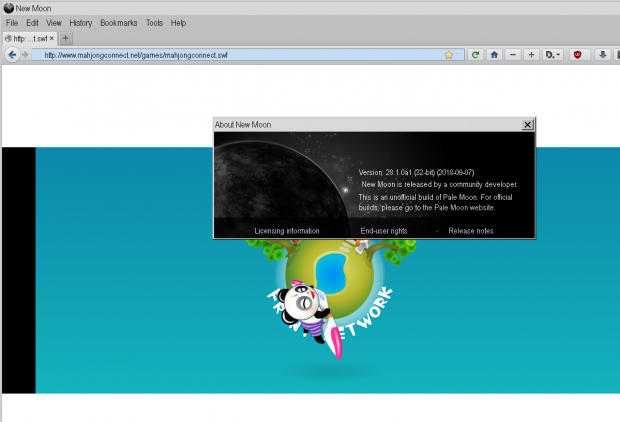 I tried to change the default browser from Firefox to New Moon. The boot time increases a lot. Palemoon 28 does not load the swf game page correctly. Sometimes it is just a colorful narrow strip of swf games. The problem occurs in the last few versions. @roytam1Would I be correct in assuming that you're no longer updating Tycho builds? No bug swf basilisk 2018.02.03. 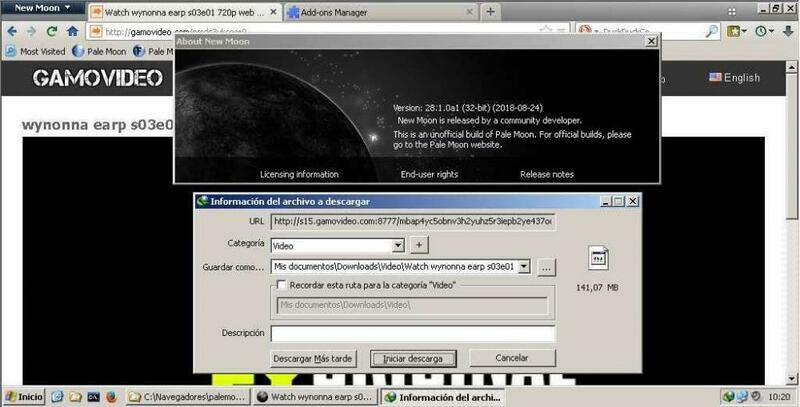 No bug swf palemoon 27.8. Since May, there are only problems, and now quite bother.